“They decorate us with colours and flowers, but the best of all, the young maidens are right there with beaucoup kisses,” he wrote. The terror of those final moments in what would come to be called the First World War — and the capricious quality of the violence he experienced as the war churned to what appeared at the time to be a precarious conclusion — he confined to his weathered, leather-bound diary. The archive of the Canadian War Museum contains many compelling eyewitness accounts of that final day, when battle-hardened and nearly exhausted Canadian troops ended the war in the ancient Belgian coal-mining city that had been the scene of the very first clash between the British and the Germans four years earlier. Recapturing Mons was a point of pride for the Commonwealth armies — and the Canadians, who had shown their mettle at Vimy Ridge, Passchendaele and Amiens, led the way. Newly awarded the Victoria Cross for action the previous summer, Sgt. Herman Good reflected on the moment as the Canadians confronted a German rearguard action in the war’s final hours late on Nov. 10. The war will finish where it started “but it will take a little time to settle it,” he wrote in a letter to his family. Days before the Canadians arrived, German combat engineers wired all of the bridges in the area for demolition. The Allies feared the Germans would stand and fight for Mons, reducing it — like so many French communities to the west — to mud and rubble. But on the morning of Nov. 6, the people of Mons woke to find that most of their erstwhile occupiers were gone. 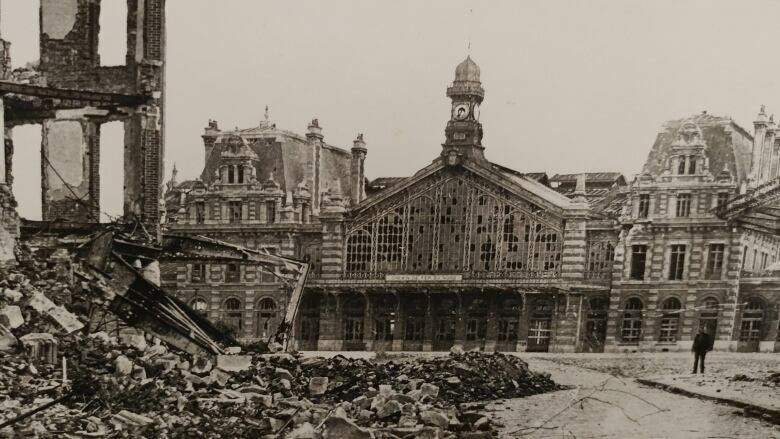 The Germans had staged a major evacuation overnight, leaving behind piles of paper and trash outside their offices on the Grande Place. The Germans fought a delaying action using a series of tough rearguard formations as 15 divisions leapfrogged over one another in retreat. They also laid on the artillery, which fired viciously and indiscriminately in the final days and hours. Billeted in a civilian house just before the ceasefire with a father, mother and teenage daughter, Teskey watched in horror as a gas shell fell into the family’s backyard. 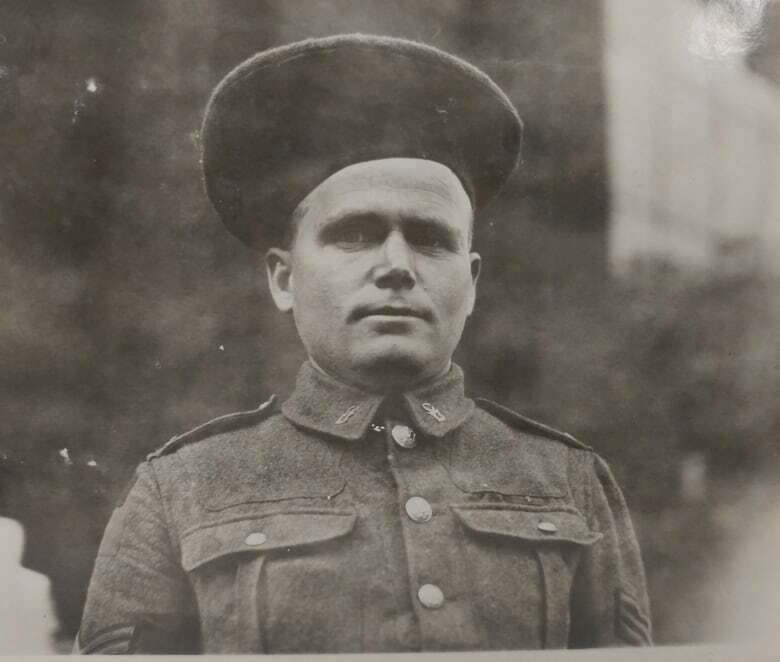 Teskey’s first major close call came on the Friday night, three days before the ceasefire, when another house in which he was billeted was flattened moments after he’d left to deliver rations to fellow Princess Patricia’s Canadian Light Infantry soldiers in forward positions. The next day, when the regiment liberated a village west of Mons, jubilant Belgians swarmed the Canadians. They lined the streets and showered soldiers with kisses and food — until the German artillery woke up. “A shell fell in the street behind us and got 17 people. Other kills around us,” Teskey wrote. When dusk arrived on Nov. 9, the Patricias had fought their way into Jemappes on the outskirts of Mons. The war was nearly over and the troops could sense it. To Teskey, it also seemed as if the suffering of the civilians had reached a climax. “Last night I saw wounded soldiers and civvies being carried to the dressing station and I wondered when it was all going to end,” Teskey wrote on Nov. 11. From his vantage point a few villages away, Good was also struck by the extraordinary suffering and destruction of innocent lives that filled the war’s final hours. “The people had some pretty hard times while the Germans were there,” he wrote in a letter on the day of the Armistice. The 42nd Battalion — the Royal Highlanders of Canada — began scouting northern entrances into Mons on the afternoon of Nov. 10 and moved forward in the face of enemy machine guns trained on each of the crossroads. Troops ducked behind buildings, jumped over walls and cut through gardens in a painstaking street-by-street advance. By 11 that night, 12 hours before the ceasefire, the Highlanders had crossed the city’s railway yard. At the same time, a battalion of the Royal Canadian Regiment (RCR) trotted across a hastily erected plank bridge into the northwest suburb of Mons, according to the Canadian Army’s official history. Canadian troops approaching from the south were held up by demolished bridges and machine guns in the thickly tangled forest known as Bois la Haut. The guns fired all night, according to an account written by the Sisters of Sacré​-Coeur and reprinted in the book Mons 1918-1918: The Beginning and the End. “Sunday finished with a racket of cannons,” the sisters’ diarist wrote. “We were convinced staying on the ground floor was dangerous as the noise doubled in intensity … We hurried through supper and spent a few moments recreation in the common room without any notion of the peril. The bombardment went on long after midnight. When it finally ceased, one of the sisters tiptoed up the stairs and into the courtyard. Fighting had carried on all night and “German dead still lay in the streets and were kicked by the inhabitants as they lay,” according to an account in the book Canada’s 100 Days by Canadian journalist J.F.B. Livesay, published in 1919. The Canadian Army’s official history recorded how a disagreement broke out after the war about whether it was the 42 Battalion or the RCR which was the first to reach the centre of Mons in the predawn darkness of Nov. 11. In the city’s Golden Book, the signature of an RCR officer appears above those of three Highlanders. Just after daybreak, the Canadian Corps Headquarters was notified that the Armistice would take effect at 11 a.m. The date is circled in black ink in Teskey’s diary. There were still pockets of resistance as Canadian guns — including an 18-pounder belonging to the 19th Battery — rolled over the cobblestones in the centre of the city. That round “shot off the arm of a German staff officer in a headquarter chateau by Hill 85, east of Mons,” said the book Canada’s 100 Days. That gun is now on display at the Canadian War Museum. 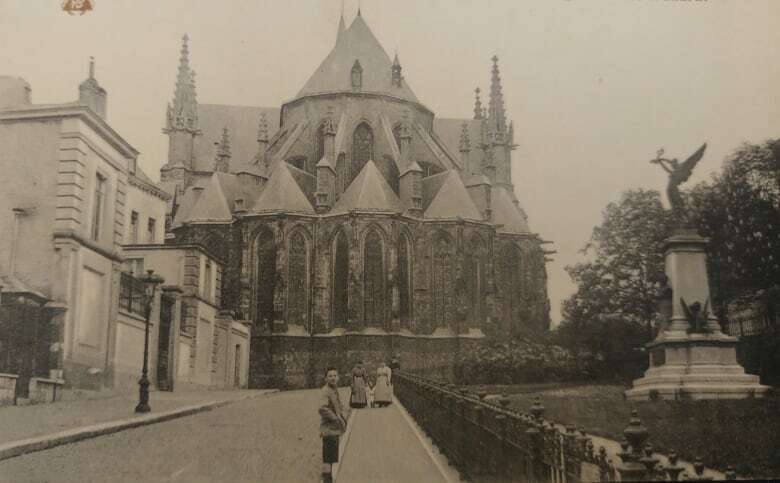 Just before the clock ran down on the war, Good was in the town of Frameries, south of Mons, as civilians started celebrating before the shooting stopped. “They came out in the streets to meet us as we came along and kissed us and put their arms around our necks and did not want to let go,” Good wrote to his family. The knowledge that he had won the Victoria Cross, which would be presented by King George V the following April, had only started to sink in. Good ended the war on Nov. 11 emotionally numb and homesick. “I’ve had four years of a pretty hard life and wish I was back [home] again,” he wrote. The bells in the Mons cathedral started ringing just before 11 that morning. They played La Marseillaise, the French national anthem, and La Brabançonne, the Belgian anthem. The sound caused Cosbie to stop in his tracks. “It is hard to realize that it is all over and when one wakes up it seems strange to think that we will never again listen to the ominous whine of a shell or going to bed not be be awakened by the whining crash of the odd bomb,” he wrote. On the outskirts of Mons, Pte. George Price, a conscript from Saskatchewan originally from Nova Scotia, slipped out of the cover of a house where his patrol had taken cover. They had been ambushed by a German machine gun. He was hit by a sniper’s bullet in the chest. Price was pulled off the street and treated by a young Belgian nurse, but died a minute later at 10:58 a.m. — two minutes before the end of the war.